With the launch of FreshClub, came the dawn of few exclusive dishes. An exclusive menu that was created with one single intention, to create dishes which would haunt one's dreams. Here are our top-selling club exclusive dishes. Italian Olive Basil Pizza || 23431 exotic meals sold. A freshly baked, cheesy, crusty pizza dotted with yellow and green peppers, black olives, sundried tomatoes, adorned with fresh hand-torn basil and drizzled with olive oil. Woodsman Chicken Pizza || 19320 boxes of delight shared. Deboned chicken leg, marinated with Worcestershire sauce, British roast-seasoning and rosemary, is grilled, diced and rested to keep the juices intact. The pizza base calls for an in-house special tomato sauce, cheese sauce, mozzarella, mushroom, onion, pepper and cheddar cheese before being baked to a blistering golden. Finished off with a fine drizzle of barbeque sauce. Three Cheese Mushroom Pizza (9 inches) || 14215 cheesy smiles delivered. This cheesy trifecta comes loaded with mozzarella, cheddar and feta cheese and is topped with mushrooms, sautéed spinach, olives and diced tomatoes. Cheesy, oozy and just plain delicious! 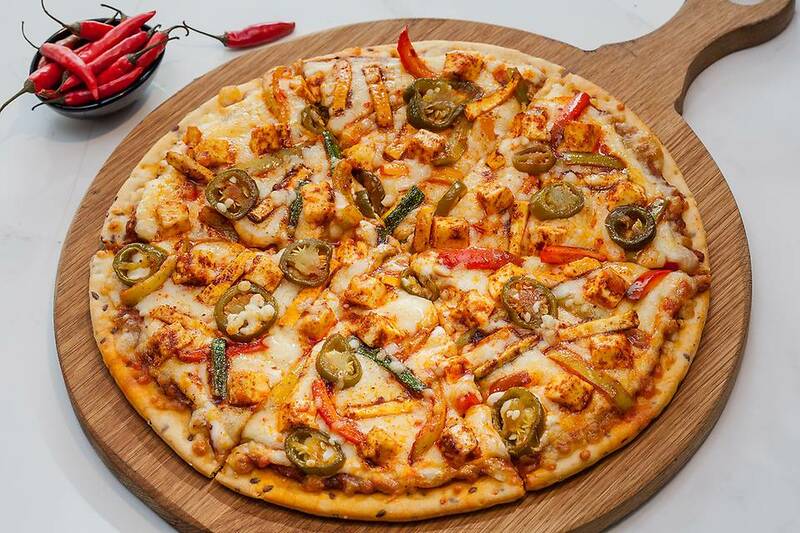 Fire in the Hole Pizza with Ghost Chilli || 13321 fiery pizzas consumed. Burmese Khow Suey (Veg) || 5400 bowls of joy shared. 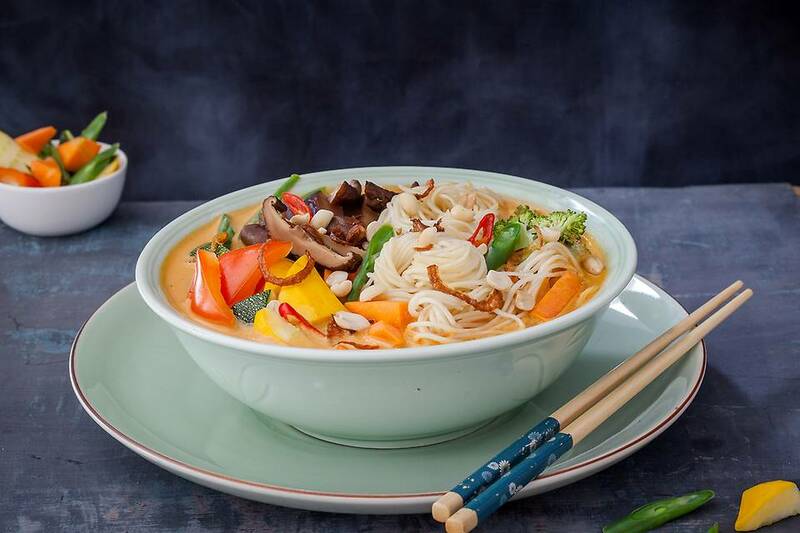 A handful of noodles soaks in all the flavours of a mildly spiced coconut-milk-based curry infused with lemon grass. Fresh seasonal vegetables, shiitake mushrooms and toasted peanuts make for the perfect jewels in this crown. May contain mushroom. 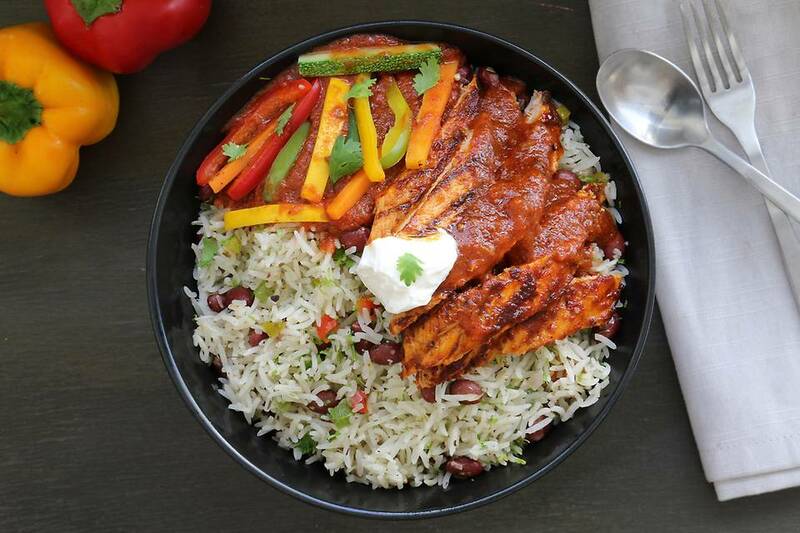 Smokey Chipotle-Chicken Rice Bowl || 5000 delicious bowls delivered. Tender sliced chicken breasts are marinated in a citrusy, spicy jalapeno-lemon marinade and grilled. The slices rest on a bed of flavourful, paprika-spiced veggie fried rice. Fresh veggies tossed in a chipotle infused tomato concasse accompany the meaty delight. A dollop of sour cream completes this exotic and exciting dish. Green Curry 'n' Basil Brown Rice (Veg) || 4500 veggielicious bowls delivered. Our fragrant, creamy take on the green curry, imbued with the magnificent flavours and aromas of galangal, kaffir lime leaves and lemongrass, served with a portion of sautéed mushrooms, broccoli, eggplant, paneer and basil brown-rice is a fitting tribute to the fragrant meals exemplary of Thailand. Order in some exclusive delights today! Check out FreshClub only on FreshMenu.com!